As the former State Treasurer I know what it is like to inherit a fiscal mess from Labor. Three years ago we started on a fiscal repair job and we undertook a range of actions that weren’t popular, but were the right measures to get the state back onto a sustainable path. The NSW Government has major concerns over the Commonwealth Budget, with what appears to be cost-shifting in health and education services. 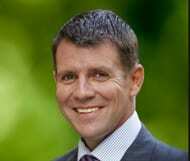 NSW Treasury estimates the state is being asked to find an extra $1.2 billion over four years in our health budget. I would like to know what services could possibly be cut here in NSW on the back of the funding cuts that we saw in the budget. When we had our problems fiscally we did not send the bill to Canberra. We got our house in order, took the actions required and we got our budget back onto a sustainable path. What we’ve had from the Federal Government is cost shifting. The Budget says to this state: we have a problem, you work it out. Well our message back to Canberra is that we are in this together and you cannot outsource your problems to the state. The Federal Government may well decide that they want to outsource their problems to the states, but that’s not good enough. The people of NSW want to know that we are going to stand up for them and that’s exactly what we’ll be doing. We’ll be standing up for the people of NSW, we’ll be standing up for the agreements that we had in place, and we’ll continue to pressure the Federal Government to get its house in order, without outsourcing that to the states. I have said consistently that if we don’t have money we can’t spend it. We now have billions of dollars of additional expenditure that they’re asking the states to pick up. That’s not fair, that’s not reasonable and there’s a long discussion we have to have with Canberra to resolve this. In more positive news, recent economic data is a clear indication of the growing strength of the NSW economy. When the NSW Liberals and Nationals came to Government three years ago we did so with a pledge to make NSW number one again. The CommSec State of the States report has ranked NSW number one for economic growth and our unemployment rate remains the second-lowest among the states at 5.4 per cent. This follows a decade under Labor when the state had the lowest unemployment growth of any state. During the month of April, the NSW economy added 7,800 jobs, taking the total new jobs created to more than 137,000 since the NSW Liberals & Nationals came to office. This is a great result after a decade under the previous Labor government when we had the lowest employment growth of any state. Retail sales figures show consumer confidence is increasing in the state, with more than $7.2 billion going through cash registers during the month of March to produce our best quarterly result since December 2009. The state’s housing sector is also performing strongly with ABS figures showing housing approvals grew by 58 per cent in March compared to March of last year – the highest level in over a decade. Additionally, more than 50,000 new homes were approved within the same 12 month period – the highest level since 2003. These figures are an endorsement of the policies of the NSW Government. They are great news for young families looking to buy their first home, great news for jobs, and great news for our economy. Mike, maybe you can give Nick di Girolamo another promotion to lobby the Federal Government?